It seems that Durham Jets has returned to their charming form in the season if Royal London One Day Cup 2018. Though, their starting in the season was so poor. They faced defeat in the first three matches consecutively which was so disappointing. But, now they have returned to the winning streak. In their last match, Northamptonshire failed to chase target which was presented by Durham Jets. 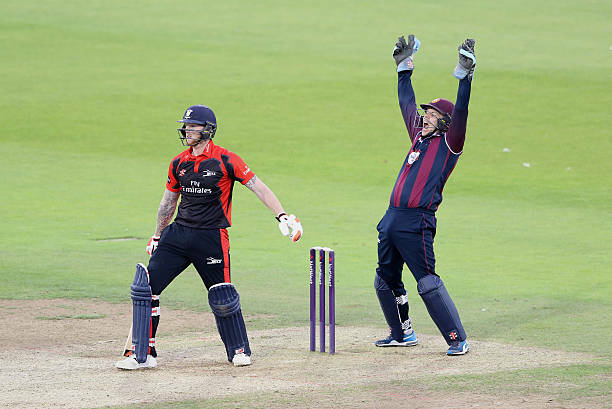 Including the victory, it was the 2nd consecutive victory of Durham. And till now team Durham played total five matches in the season of Royal London tournament where they won twice times so far. Their last match opponent Northamptonshire also failed to make a charming entrance in the season of Royal London One Day Cup 2018. Both teams have experience about winning the title of the competition earlier. Northamptonshire played one match less than Durham and they have seen the same number of victories. They faced defeat twice times in the season. The match between Durham and Northamptonshire took place in 27th May, 2018 and the host venue was County Ground, Northampton. The venue was the home arena of losing team Northamptonshire but they failed to take proper advantage from it. Earlier the match, Northamptonshire won the toss and decided to bowl first. So, Durham came to open the innings at the beginning. Top three players of Durham did not make any good score. Cameron and clark started the innings for toss losing team. Cameron scored 0 runs where Clark scored 13 runs so far. Later, Michael Richardson came but scored only 21 runs so far. Captain Tom Latham played with responsibility. He with Smith, both played well. Tom scored 86 runs and Smith scored 41 runs for the team. Later, wicketkeeper Stuart scored another 36 runs so far and Gareth Harte scored 36 runs more. At the end of 50 overs team Durham scored 256 runs in exchange for seven wickets. Rory and White took two wickets each for the team Northamptonshire. The score was handsome but also it could be chased. The opening mates of Northamptonshire was gone in 17 runs when Joshua was gone with 6 runs. Rob and Ben scored 23 and 2 runs respectively. Alex and Adam played well and made a partnership that added almost 130 runs. Alex scored 79 runs and Adam scored 66 runs so far. They could lead the team to victory but they failed to make more longer innings. Rest players did not score much but Rory scored 41 runs and White scored 17 runs only. They lost nine wickets in 50 overs and scored 251 runs.